Amazon’s Alexa app was the top app for Android and iPhone on Christmas day. It’s a strong indication that Amazon’s Echo products were a popular gifts this year. Amazon won Christmas this year. The Alexa app, which is required to set up Amazon’s Echo devices and other products with the Alexa digital assistant built in, was the top app for Android and iPhone on Christmas day. Since app store rankings reflect what people are downloading almost in real-time, it’s a strong indication that Echo products were some of the most popular gifts this Christmas. 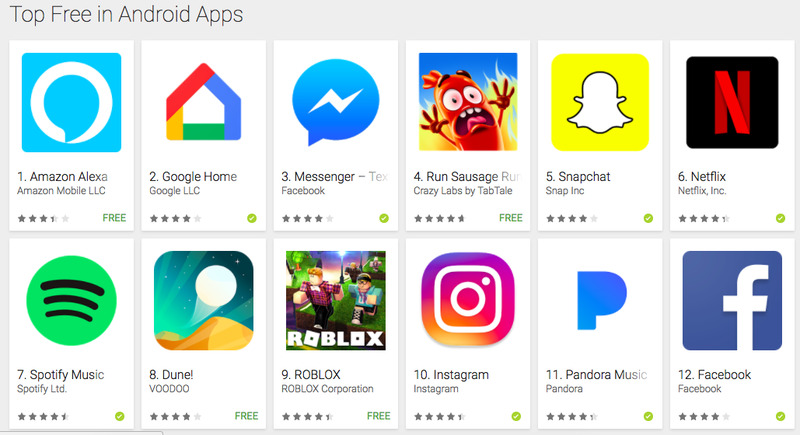 GoogleThe Google Play Android app rankings for Christmas day. Google’s Home line of voice speakers were popular too. 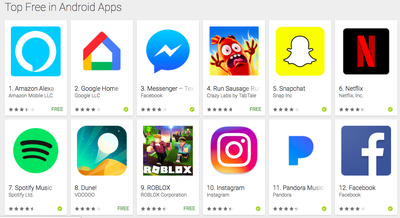 The Google Home app was ranked second in the Android app store and sixth in the iPhone store. As the smart speaker boom appears to be growing, Apple was left out this holiday season. The company delayed its HomePod speaker a few weeks ago. It was originally supposed to launch in December, but Apple now says it’s coming in early 2018.